I am often asked this question and my answer used to be no. But maybe I was wrong. With today's social media rat race, it seems like most people rush from one location to the next just to be able to take as many "instagrammable" shots as possible. MY FRIENDS, THAT IS NO WAY TO TRAVEL. What you'll end up with are empty photos. Much like those stock photos that come with picture frames. Pretty, but weightless. YES, YOU WERE THERE BUT WHAT DO YOU REMEMBER ABOUT BEING THERE? I believe that each place carries it's own unique form of magic and the only way to experience it is by approaching it with an open mind and open arms, to spend enough time to explore and get to know the people (and in some cases, animals) who inhabit the area. It doesn't matter wether you're in a beautiful countryside or crowded city, there is magic. JUST BEING HERE IS A SPIRITUAL EXPERIENCE IN ITSELF. There is something beautiful to marvel at with each step you take...centuries old architecture and one of the most amazing views I've ever seen. At the foot of the cliff is one of the most popular surf spots in the world because of the size consistency of its large swells. From the top, the sight and sounds of it make for a pleasant meditative experience. Step away from the tourist crowd and take a moment for quiet. 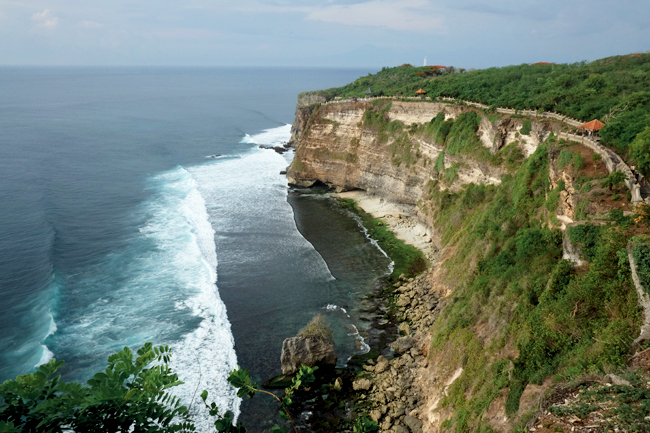 For me, the best way to experience ULUWATU is to explore it on your own or with a couple of people at most. This is so you don't miss out on the beautifully serene aspect of the place. Wear comfortable shoes - it's a long walk with lots of stairs to climb. Wear cool clothing - this is the hottest place I've ever been to (seriously). Bring water and a portable fan. GET THAT MONKEY OFF MY BACK!!! 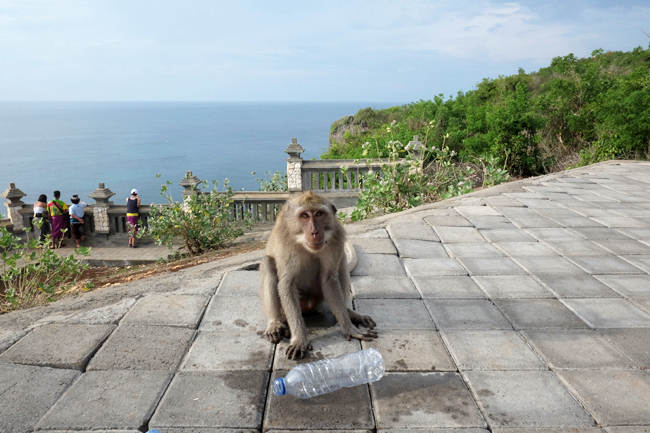 ULUWATU basically belongs to the monkeys. It is their home so you gotta respect that. Yes they can get cheeky but it's no reason to whack them (and hurt them) in protest. While I was there, a monkey climbed on me and stole the water from my backpack. They also stole an iPad and sunglasses of some other tourists. 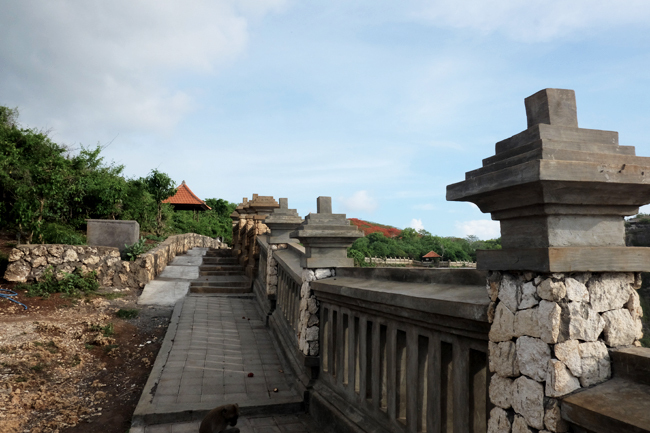 Aside from being handed sarongs to cover yourself up upon entry, you will also be briefed about the safety precautions you need to take to avoid unnecessary confrontations with these brazen primates. That includes not bringing in any food and hiding all your personal belongings. If in case you forget, like me, no worries. 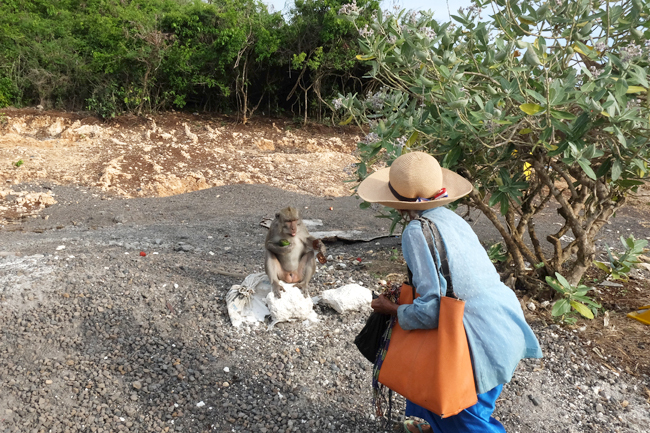 There are guides all over the place who will offer the monkeys fruit in exchange for your personal belongings. They always take the trade. But of course, to avoid harboring this bad habit, just try to make sure to remember and adhere to all the guidelines. 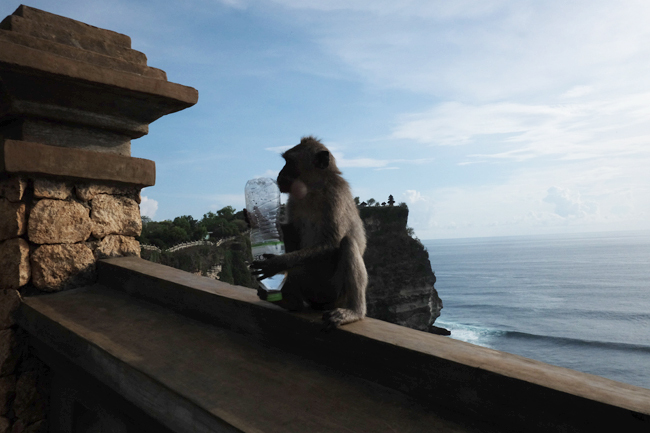 MONKEYS AND ULUWATU GO HAND IN HAND, THE EXPERIENCE WOULDN'T BE THE SAME WITHOUT THEM. And if you're feeling a little intimidated, don't be, they're pretty much harmless and actually quite amusing. 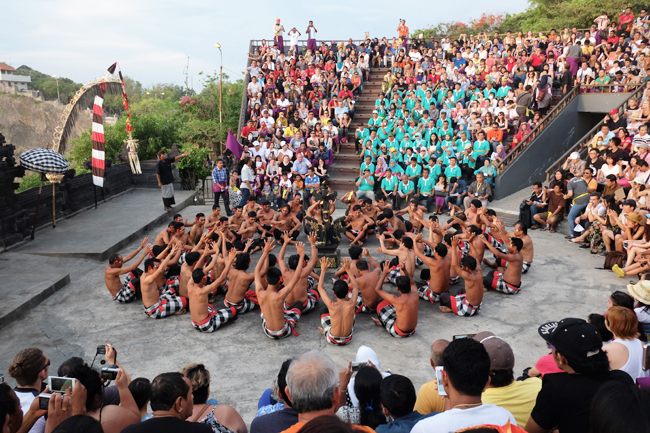 A visit to Uluwatu ends at sunset with the Kecak (Fire) Dance performance. "Make sure to stay long enough for this as it is a sight to behold!" 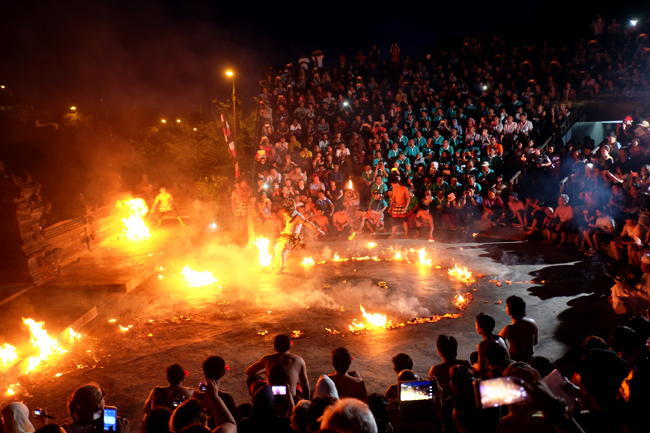 The Kecak Dance is performed by a circle of 150 performers and depicts the story of how the monkey-like Vanara helped Prince Rama fight the evil King Ravana. It's got enough plot twists and love triangles to put any Spanish telenovela to shame. Nonetheless, the effect of 150 grown men chanting "cak" (chak) over and over again with booming voices in seamless unison is enough to send chills up anybody's spine! 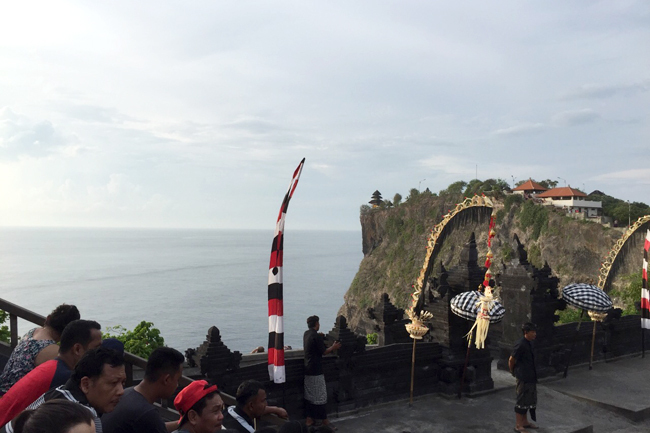 The cheapest way to visit Uluwatu Temple is to join a tour. If you prefer to travel on your own, it's best to rent a scooter or take a taxi which costs around 120,000 IDR or $9USD one way. 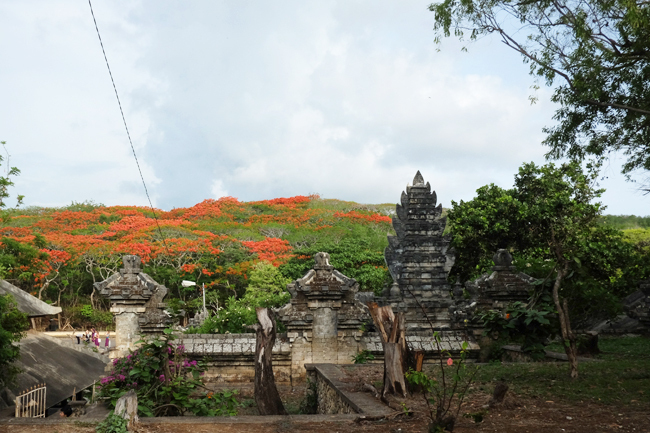 Travel time is about 30-40 minutes from Kuta. Best to ask your driver to wait as it might be difficult to find your way home otherwise. 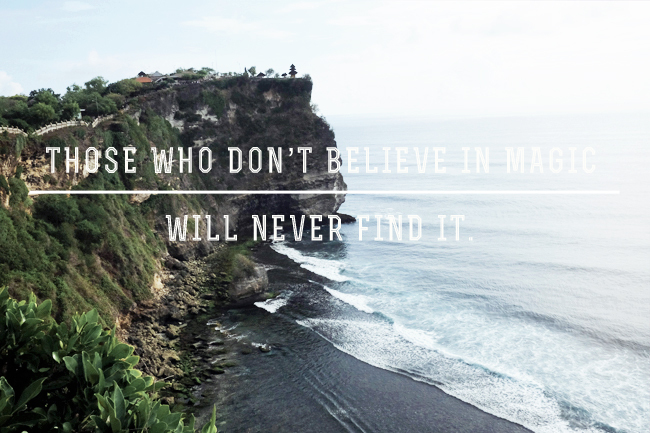 Bali's definitely one of the places I want to go to next. Your trip looks like fun! Are the monkeys friendly? Yung mga monkeys kasi sa Malaysia nang aagaw ng food! I've been there! 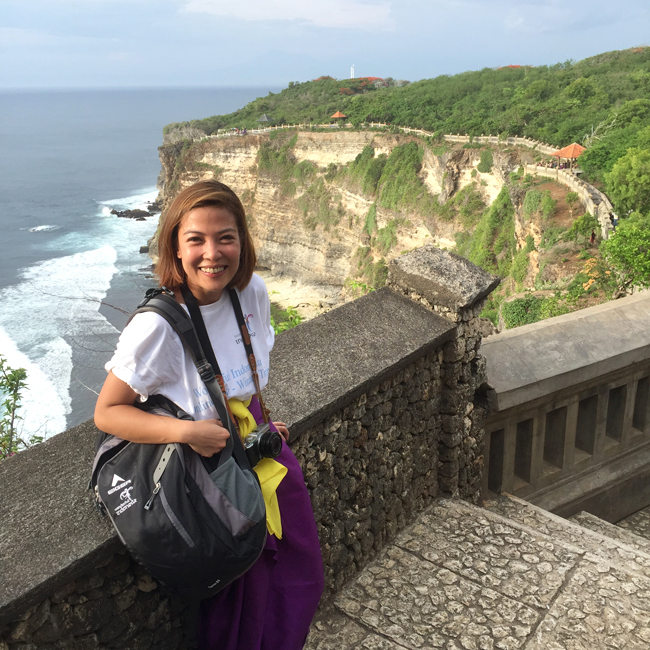 I loved Uluwatu as well! But my friend and I didn't know about the dance. We would've stayed to witness it! Aww I wish to go back especially since I never got to upload my Bali photos from my lost phone. Even hotter dito sa atin? But the view is stunning and the monkey! Naku the kids would love that place! Nowadays, people seem to be in a rush even when it comes to traveling. 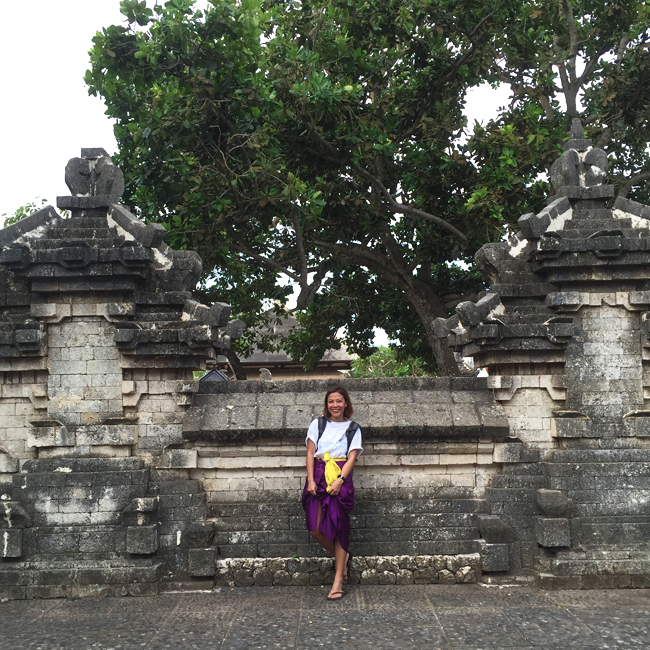 I love your travel posts because they're full of great tips and suggestions. 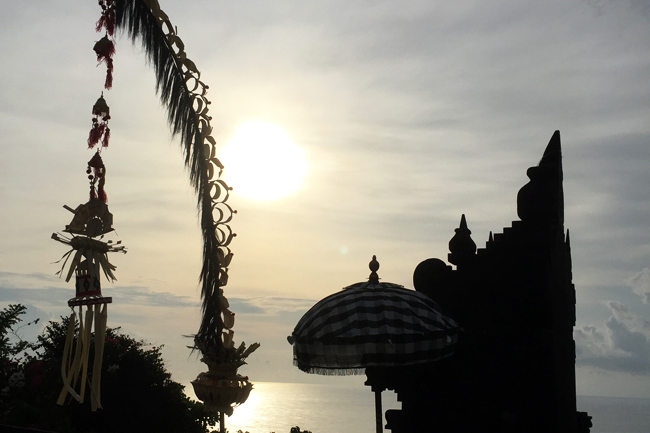 Haven't been to bali but the views are so beautuful! New year, new hair, nice! I remember our Cambodia trip where there are monkeys everywhere. And since takot ako, talagang iniiwasan ko sila hehehe. Husband introduced me to Fuji camera a year ago. Ganda nga sya kumuha. And I so love your travel posts. Nakakainspire to travel din and gives me ideas on how to play with the camera. Thanks and keep traveling! will include this in our list of "to visit" places.